Dubai's flagship airline Emirates is looking for "motivated and service-oriented" candidates to expand its cabin crew team. The airline will be organising open days for cabin crew recruitment in Dubai later this month. Interested candidates should attend the open days on April 13 and 28. Candidates can get details on the venue and the timing by visiting the website. "Emirates is looking for open-minded, helpful, and friendly candidates to deliver its award-winning onboard experience to customers. Applicants hoping to give their careers a flying start can walk in with an up-to-date curriculum vitae in English, and a recent photograph. Prior online registration is not required to attend the Open Day. However, important information about the requirements for the selection process can be found online at the Emirates Group Careers website," the airline said in the announcement. The cabin crew will be paid approximately Dh9,500 per month. The salary will be part fixed and part flexible, depending on flying hours. Other perks include layover expenses, furnished accommodation, concessional travel, 30 days of calendar leave per year, among others. Cabin Crew are offered an entire employment package, which includes a variety of benefits such as free high standard shared accommodation in Dubai, free transport to/from work, medical and dental cover as well as exclusive discounts on shopping and leisure activities. 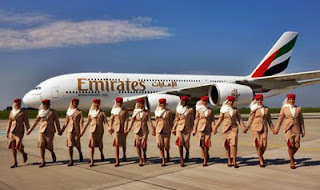 For many of Emirates' cabin crew team, the company's attractive concessional travel benefits for themselves as well as their families and friends, is a big advantage - particularly as Emirates' growing global network offers many travel opportunities across the airline's six continents-spanning network. Emirates currently flies to 159 destinations across six continents operating a modern fleet of 269 all wide-body aircraft. The airline is the largest global operator of the Boeing 777 and the Airbus A380 aircraft. Emirates offers candidates an outstanding career opportunity, in-depth training as well as an unmatched cultural exposure working within a truly international team of cabin crew from over 135 nationalities.